Gov. Herbert speaks at press conference for Puerto Rico relief efforts on Oct. 30, 2017. 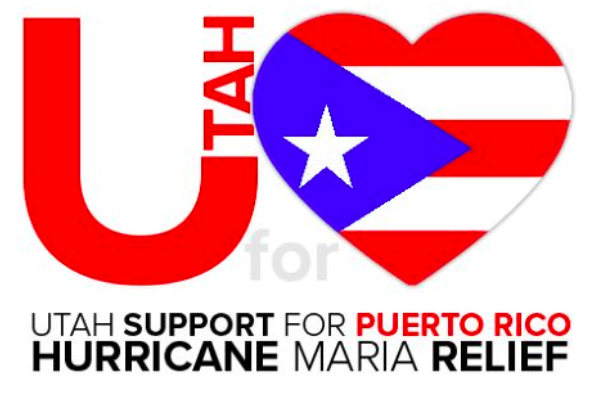 Utahns have so far kicked in more than $300,000 for Puerto Rican relief efforts. Nearly 70 percent of the island remains without power after a devastating hurricane in September wiped out much of its infrastructure. At a press conference to raise awareness for a new campaign called “Light Up Puerto Rico,” Gov. 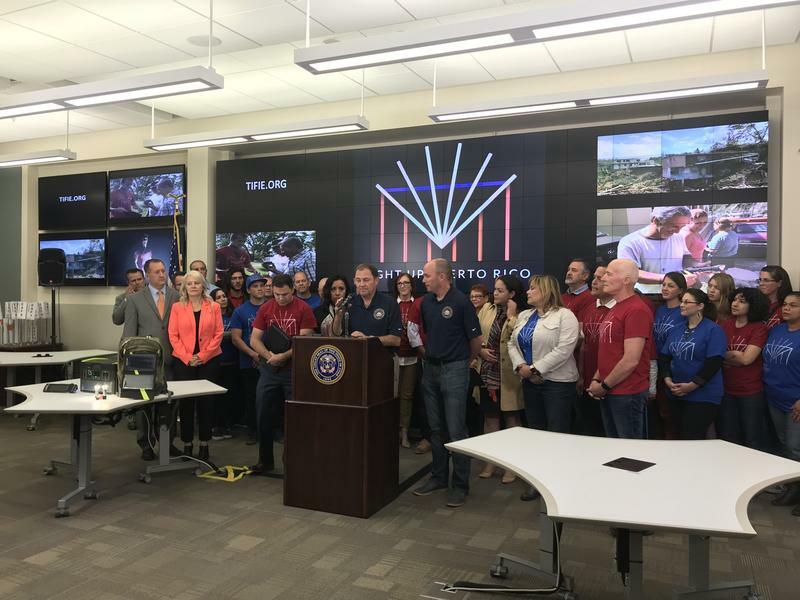 Gary Herbert called on all Utahns to pitch in. “We’re asking for everybody to take a look -- individuals, businesses and organizations -- what can you do? What can you give to this effort of ‘Light Up Puerto Rico’ and sharing what you have today,” he said. He says local companies and organizations like Vivint Solar, Goal Zero and the LDS Church have already donated. But they still need more in advance of a trip next month with Lieutenant Gov. Spencer Cox and about 40 other volunteers. Carilu Alvarado and her husband Jorge moved from Puerto Rico to Utah just a year ago. They returned to their home island last week to help distribute solar generators and other donations. Alvaredo will return to the island next month with the other volunteers to distribute additional supplies and generators collected during their campaign. Light Up Puerto Rico You Caring fundraiser, 100 percent of proceeds collected will be used to purchase equipment to send to Puerto Rico. A Puerto Rican-born Utah lawyer is heading back to the island for her visit since Hurricane Maria devastated the U.S. territory — and bringing with her supplies donated by people from across the Beehive state.